As health care legislation takes shape in the U.S. Senate this month, Coloradans have much at stake. It is our sincere hope that senators can identify thoughtful, productive reforms that improve the health and financial stability of Coloradans, unlike the many misguided provisions in the House’s American Health Care Act (AHCA). Under the House proposal, health insurance coverage would be lost for about 23 million people, 600,000 of whom reside in Colorado – a scenario that would be profoundly destabilizing, both socially and economically. 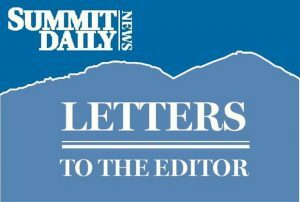 As county commissioners in Summit and Grand counties, we’re all too familiar with the pain caused to our constituents by skyrocketing health care costs. The existing system is far from perfect for our mountain communities. So we’ve been working with state regulators, health care providers, human services organizations, insurers, state legislators and others to identify meaningful solutions that will increase access to health care and improve its affordability. And we would hope that our federal legislators would be doing the same. Unfortunately, the American Health Care Act would only take us backward, when we so desperately need to move forward. In light of our very real challenges, we’re asking Senator Cory Gardner to stand up and fight for the health of our mountain communities. Part of that fight should include advocating for an open and transparent policymaking process. The people of Colorado deserve the opportunity to analyze, evaluate and understand the proposals contained in the Senate health care bill so we know how it will impact us before it’s voted on. When our communities’ health and local economies hang in the balance, hastily cobbled, poorly vetted legislation from Washington is the last thing we need. And Senator Gardner should also fight against any proposal that would increase the number of uninsured Coloradans, inflict higher costs on Colorado consumers or lead to cancellation of existing health insurance plans. Like many communities in Colorado, we have aging populations. The American Health Care Act would result in steep premium increases for older adults, and it would dramatically slash Medicaid funding that comes into our state. Medicaid helps seniors pay for nursing-home care and long-term in-home care that Medicare does not cover. As a state, Colorado would be saddled with the unsavory choice of filling the gaps with unidentified state funds or reducing payments to care facilities. Under the AHCA, rural hospitals and health centers would also suffer. Proposed cuts to Medicaid would cause many rural health care facilities to close or dramatically reduce their services. This would be a disaster for Colorado’s rural communities and economies, reducing our choices, diminishing already-limited access to needed services, eliminating professional health care jobs and financially destabilizing residents who lose Medicaid eligibility. Today, we in the mountains already pay more for health care services and insurance, but that would only get worse under the AHCA. Currently, premium tax credits account for geographic variations in premium costs. But the tax credits in the AHCA wouldn’t take into account the higher prices we pay in this region, because they would be tied only to a person’s age and income. And the AHCA would hit us even harder by eliminating existing cost-sharing subsidies that currently provide some financial relief from out-of-pocket costs for lower-income Coloradans. The proposed tax credit reduction, when combined with insurers being able to charge older Coloradans more, would be untenable. A recent analysis by Kaiser Family Foundation shows that, in Summit County, a 60-year-old making $50,000 a year would pay over $10,000 more per year on his or her health insurance premiums. A price hike of this scale would be unconscionable. Our state and local budgets couldn’t absorb the AHCA’s financial impact. Colorado stands to lose over $14 billion in federal funding by 2030 as a result of Congressional proposals to cap Medicaid, and the impacts in rural Colorado would be profound. According to a recent report, 42 percent of children in small towns and rural areas in Colorado are covered by Medicaid, and 20 percent of adults in non-metro areas are covered by Medicaid. We respectfully urge Senator Gardner to find policy solutions that provide better, more affordable care for everyone. The American Health Care Act is clearly not the solution to our problems. On the contrary, it will make our situation in Colorado’s mountain communities much worse.